In a society where people “dreaded scandal more than disease,” passion was a force of ruin. 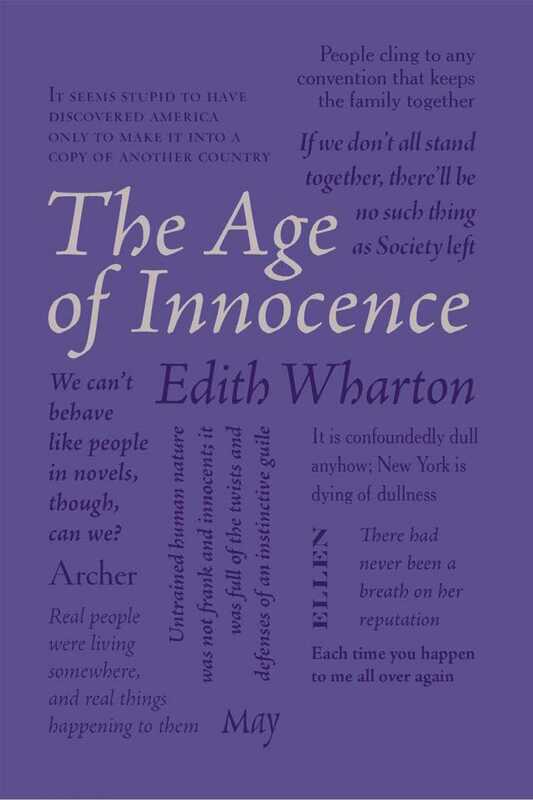 Winner of the 1921 Pulitzer Prize, Edith Wharton’s The Age of Innocence is set amidst the pre-World War I “Golden Age” of upper-class society in New York, and is framed by society’s strict moral code. When soon-to-be-wed Newland Archer finds himself enraptured by his bride-to-be’s code-flouting cousin, he faces a turbulent battle between passion and social value. One of the great masterpieces in American literature, The Age of Innocence is now available as part of the Word Cloud Classic series, making it a chic and affordable addition to the libraries of literature lovers everywhere.